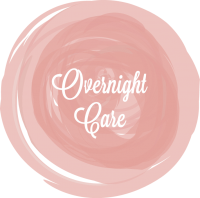 Overnight newborn care provides both education and support to parents during the first few months of baby’s life. Our newborn care professionals are by your baby’s side throughout the night to help aid in the transition home from the hospital. Many of our team members also specialize in multiples and preemie care. Hush Little Baby has a team of IBCLC’s & Certified Lactation Counselors that can provide newborn care in addition to lactation services. Consultations can be set up on an as needed basis depending on lactation needs or combined with our overnight and temporary day newborn care services. Bringing your baby home comes with joy and adjustments! Our postpartum doulas can assist with your baby’s care, light home care, sibling care, and most importantly support and care for you and/or you and your partner. Postpartum doula services can be arranged during the day time hours or be used in addition to overnight care services. Welcome to Hush Hush Little Baby Newborn Care! As the founder, I’m personally available to answer any questions and further describe our services. Simply contact me through our client application or call us at (202) 600-1005 anytime day or night. Please explore what makes us different and our Four Pillars of Newborn Care. We take great pride in serving families with the very best in newborn care and we look forward to serving you!